On August 22, 2012 Russia joined the World Trade Organization (WTO) as its 156th member. What does it mean? The WTO is a club of countries that promise to liberalize trade with each other and resolve their disputes by following legal rules. As with other clubs, to join as a member means to agree to act in appropriate club-approved ways. And what does the WTO have to do with Alexandr Pushkin? 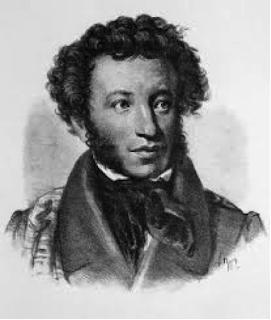 Pushkin’s great novel in verse, Eugene Onegin (it placed the author on par with Shakespeare and Homer, according to many) described life in Russia in the early 19th century, including wonderful little details about Russia’s foreign trade of that period. Our sage of eighteen summers’ bloom. For hair, and teeth and fingernail. So 200 years ago, Russia exported raw materials (tallow and timber) and imported luxury consumption goods for the rich. Today Russia exports raw materials (natural gas and oil) and imports luxury consumption goods for the rich. We will have more to say on this blog about continuities and discontinuities in Russia’s history.